With a new month, comes a new fruit. This month we look to the Pear. Pears are packed full of vitamins, fiber, antioxidants and nutrients making them an excellent health source. They aid in the combat of free radicals, help lower cholesterol and control diabetes. 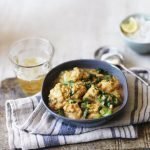 We’ve already picked out the four yummiest pear recipes for this month and we hope you thoroughly enjoy them. 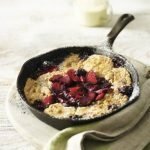 This recipe uses Bircher muesli which is traditionally a dish of oats and grated apple soaked in juice and yogurt overnight. 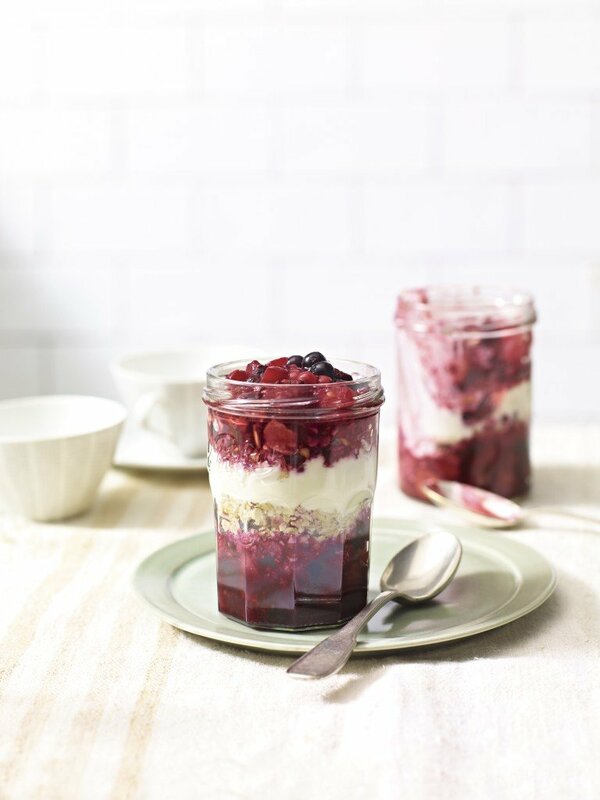 This delicious recipe, rich in vitamin C and giving you 1 of your 5-a-day, uses a homemade compote layered with muesli for the perfect portable breakfast. Place the berries, pear and juice in a small pan. Bring to the boil and simmer gently for 5 minutes. Turn off the heat and leave to cool completely. Spoon half the fruit compote into the base of four jars or large glasses. Scatter over half the muesli mix then spoon over the yogurt. Scatter over the rest of the muesli mix followed by the remaining fruit compote. Seal the jars or cover the glasses with clingfilm. Chill overnight. Stir and serve. Cook’s tip- Add depth of flavour to the fruit compote by adding a star anise, cinnamon stick or grated orange zest. For more ideas, take a look at the Waitrose recipe page.